Are you having a hard time finding the best gift ideas for 11 year old girls? If so, you’ll be glad to know that you’re in the right place. We’ve reviewed the best toys that are available on the market and reviewed them. As a result, finding the best toys for 11 year old girls has never been easier. You can even find a buyers guide section at the end which provided you with more information to help you make the best decision possible. 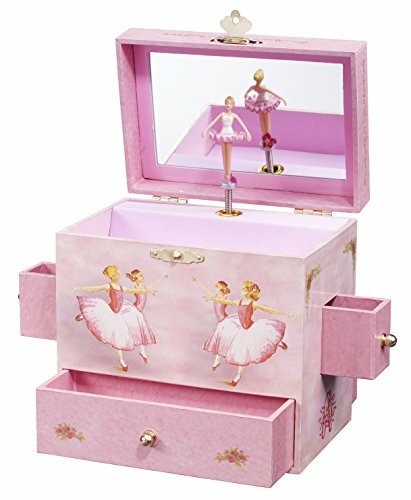 The Enchantmints Ballerina Musical Jewelry Box comes with a fantastic ballerina figure that can spin around. As it’s twirling around, the box plays music which is a lot of fun for kids to watch and listen to. They often like to imitate the ballerina figure and dance along with it. We liked how there’s plenty of storage space available as well. There are two smaller drawers on the sides, as well as a larger drawer on the bottom. This provides your little girl with plenty of room to keep their items. They’ve included a mirror on the top of the inside of the jewelry box too. Kids can use this when getting ready to imitate what they may have seen their mom’s doing while getting ready. This is a great gift idea for 11 year old girls who are looking for something to hold all of their smaller items. The spinning ballerina and music that plays is also a super fun feature. 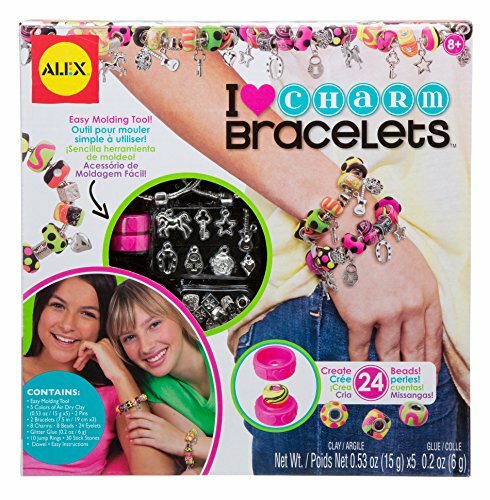 This ALEX Toys DIY Wear Heart Charm Bracelet set comes with a total of 24 beads. In addition to this, there are air cry clays, bracelets, pins, charms, glitter glue, stick stones, a dowel, a molding tool, and jump rings. As a result, your child is provided with everything they need to have fun making their own bracelets for hours. We liked how this set encourages children to use their creative thinking abilities. Not to mention, they have a blast using this set in groups with their friends. This gives them a great chance to learn how to work in groups and develop their social skills. Piecing together the various parts is also an excellent way for children to improve their motor skills and coordination. There are so many accessory items included that makes piecing together this jewelry kit super exciting. It also develops your child’s motor skills and coordination. 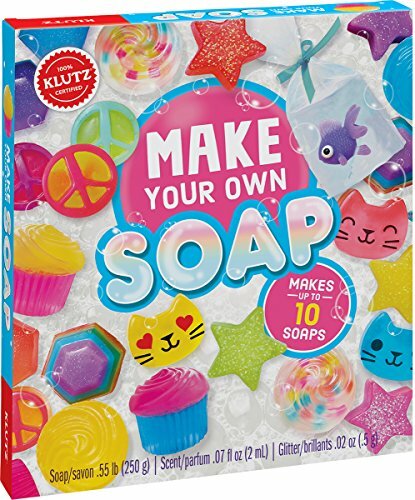 The Klutz Make Your Own Soap Science Kit is a very fun and educational gift for an 11 year old girl. It works to teach them about chemistry while providing them with a hands-on experience. This hands-on element is a lot more exciting for kids and encourages them to want to learn more. There are plenty of experiments available which ensures your child will be occupied for a while. They can use the set to create a range of soap shapes as well. You could use this as an opportunity to improve your child’s shape recognition skills. We also liked how the instructions included are easy to follow and available in complete color. This is a fun science kit that kids have been having a blast with. They love using the instructions to make all kinds of different soaps, while also learning more about chemistry. 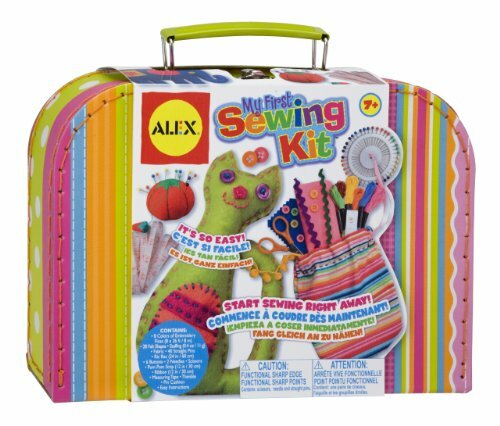 This ALEX Toys Craft My First Sewing Kit comes with a range of 28 shapes that are made out of felt, scissors, embroidery floss, stuffing, pin cushion, thimble, needles, pins, measuring tape, and more. Therefore, your child is provided with everything they need to get started right away. As they’re using the sewing kit to create different items, your child’s creative thinking abilities are encouraged to develop well. In addition to this, their motor skills and hand-eye coordination skills are improved too. We also liked how children can use this set as a way of improving their concentration levels. Since they’re having to focus on smaller details to create the items, their focus will be developed greatly. Kids have been having a lot of fun using this set and learning a new skill of how to sew. It develops their motor skills and coordination, while also improving their ability to focus for longer. This Sunny Days Entertainment Blue Ribbon Champions Deluxe Horse Toy is incredibly interactive and fun for kids to play with for hours. We were impressed with how it comes with realistic horse noises. These can be easily activated by pushing the horse’s head down. This is very interactive and fun for kids to use. In addition to this, the horse’s head can be moved up and down, which gives kids more freedom as they’re playing with it. 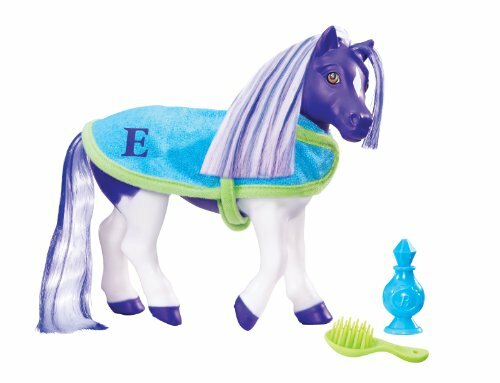 The tail and mane are made out of fabrics that can be easily brushed with the grooming brush accessory that’s included. They have also included a detachable saddle, cup, and hop-pocket. All of these items encourage children to use the toy and play with a lot more creativity. This is a fun horse toy that 11 year old girls have been having a lot of fun with. They love how they can hear the toy make realistic horse noises as it enables them to play with more imagination. 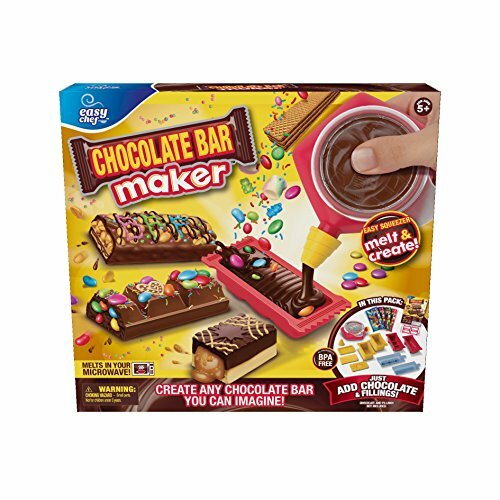 The Moose Toys Chocolate Bar Maker is a unique gift idea that an 11 year old girl could have a lot of fun with. It enables you to get super creative and make your own chocolate. You start by melting chocolate and pouring it into the molds. You can then get imaginative with any personal touches that you want to add to it. We liked how they’ve included stamps, wrappers, and a deco pen. This provides kids with all the accessories that they need to create their own chocolates that have a unique twist. This is a fun set for children to use with their friends as well. They can create different chocolates for each other and have a blast. Therefore, it can be effective at improving your child’s social skills. This set comes with a range of accessories that enable kids to be super creative when making their chocolates. It’s also a great set to be used in groups, which can improve your child’s social skills. This Creativity for Kids Day at the Spa Deluxe Gift Set features a range of over 30 items. This includes sticker nail art, nail file, cotton ball, glitter polish, press-on nails, a spa bag, and more. Therefore, your child is provided with plenty of items to play with an be entertained for hours. It’s a fun set that kids have a blast using in small groups with their friends. They can use their imaginative thinking side to pretend that they’re at a real spa. As a result, the set is awesome at improving your child’s social skills, as well as their creative thinking abilities. Having the option to use so many different items makes the experience more realistic and exciting for children too. They can roleplay what they have seen other people doing with items such as the press-on nails and nail file. Kids have been loving how they can use this set with their friends and come up with pretend play scenarios together. It’s excellent for their social skills and improves their creative thinking abilities. The Glitter Girls by Battat Shimmers Norwegian Horse Toy is a total of 14” which is a perfect size for kids to handle and play with. 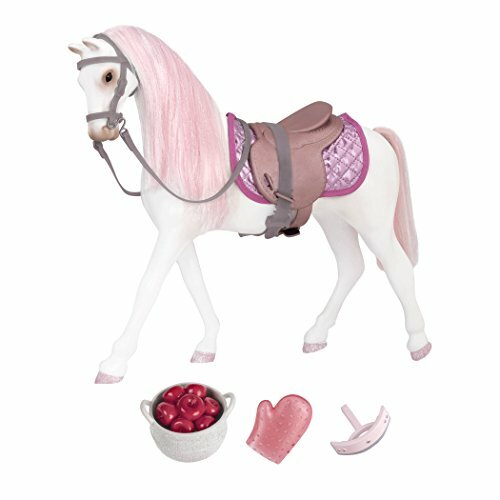 We liked how the tail and mane have a shimmering pink design as it makes it more exciting for kids to play with. Kids love being able to brush the main and tale as well. Most dolls are able to fit on the top of this horse as well. This provides kids with more freedom to play with a lot of creativity. They can use the dolls that are already in their collection with this horse toy. They have also included a range of accessories too. They include a saddle, saddle pad, a basket full of apples, a horse scraper, grooming mitt, and a bridle with reins. So, your child has a lot of accessories to play with creatively for hours. 11 year old girls have been having a lot of fun using this horse toy with their dolls. It’s super fun and improves your child’s ability to think with more imagination. The Sleepover Party Game features a range of more than 200 activities which include performances and various stunts. We found this game to be awesome for group play and it improves your child’s social skills and teamwork abilities. With so many activities available for kids to be involved in together, you can be sure that they’ll be occupied for many hours. The activities included also encourage children to use their imaginative side as well. Therefore, it’s an effective game at improving your child’s creative thinking skills. This is a great set that kids have been having a blast with playing together and laughing for hours. It improves their social skills, as well as their ability to think creatively. 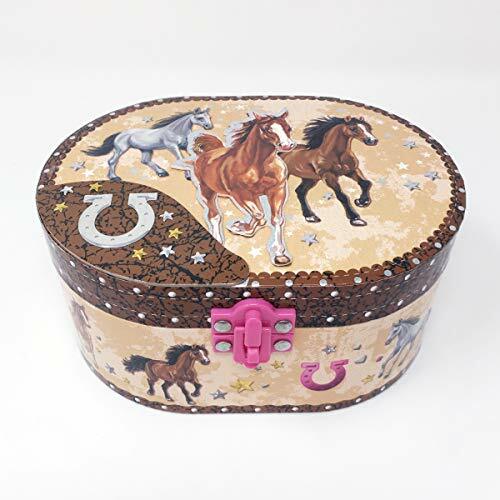 The Hot Focus Dashing Horse Oval Shaped Musical Jewelry Box features a super fun twirling horse feature. While the horse is spinning around, the box is able to play music. This is super exciting for 11 year old girls and stimulates their audible and visual senses. They often like to spin around as the music’s playing and pretend that they’re dancing with the horse. As a result, it can be an effective way to improve your child’s creative thinking skills. There is also plenty of room available for kids to store all of their jewelry. Little girls often like to copy what they’ve seen their moms do, and this set enables them to keep their jewelry stored in a nice place, just as their mom may do. This is a great gift idea that will mean a lot to your child over the year. They’ll love being able to store all their jewelry in one place and watch how the horse figure twirls to the music. Melissa & Doug’s Scratch Art Rainbow Mini Notes Set comes with a total of 145 mini rainbow notes, as well as a stylus that is made out of wood. This provides kids with a simple set that still enables them to stay occupied for a while. It encourages them to draw, write, and come up with all kinds of designs. As a result, it’s an effective way to encourage your child to use their creative thinking skills. It can also be great for improving your child’s writing and reading abilities. We liked how the notes are available in bright colors as well. This makes it more visually stimulating and improves your child’s color recognition skills. There’s an awesome feature on the pages where the top layer is covered in a matte coating. 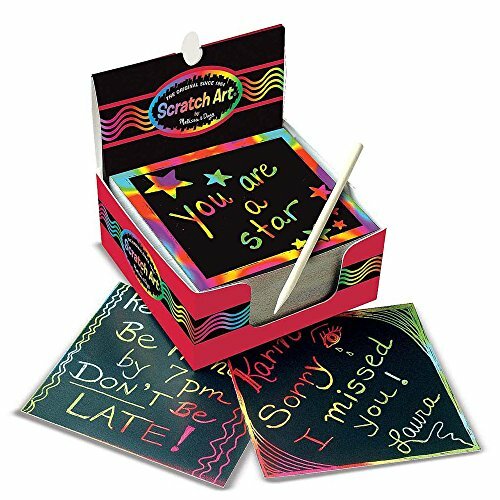 Kids can then use the wooden stylus to scratch the layer off to reveal the brighter colors. This is a fun set that promotes creativity and drawing. It can also improve your child’s ability to read and write. This DIY Wear So Many Headbands set by ALEX Toys comes with a range of 10 headbands. There are also a ton of accessories included for kids to use while designing the headbands. These include shoelace, fabric flowers, gem stem, ribbons, loops, rubber bands, and more. As a result, kids are provided with everything that they need to start designing their headbands right away. It’s a fantastic kit that encourages children to use their creative thinking processes. Not to mention, as they’re using the various accessories available, your child will also be able to develop their motor skills and coordination. This set could be excellent for keeping your child and their friends entertained as well. It makes for a great group activity that can improve your child’s social skills. 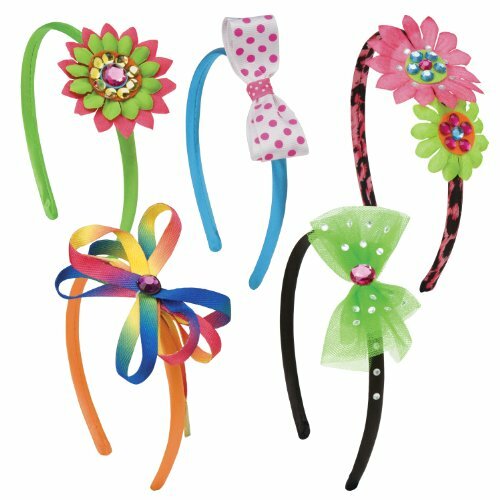 Kids have a blast using this set to come up with different headband designs. It improves their ability to think more creatively and it can also develop their social skills if they’re using it in groups with friends. 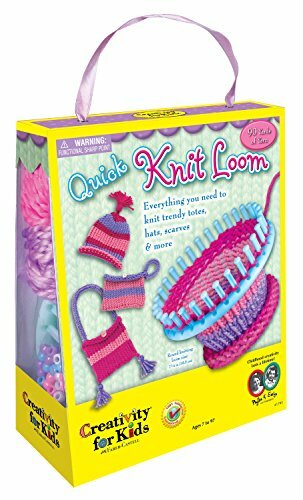 The Creativity for Kids Quick Knit Loom set comes with a double-sided hand loom and a larger circle loom. In addition to this, they’ve included plenty of yarn which is available in different colors, beads, buttons, and needles. Therefore, kids have all the kit they need to begin learning how to knit straight away. We found that this set helps children learn more about knitting and improves their ability to focus for longer. Furthermore, while they’re using their hands with the delicate steps, children are able to develop their motor skills and hand-eye coordination as well. Since the kit involves making different wearable items, kids feel encouraged to be more imaginative. As a result, the set can improve their ability to think more creatively. This is a unique gift idea that helps children to improve their ability to focus, while also developing their motor skills, coordination, and creative thinking skills. 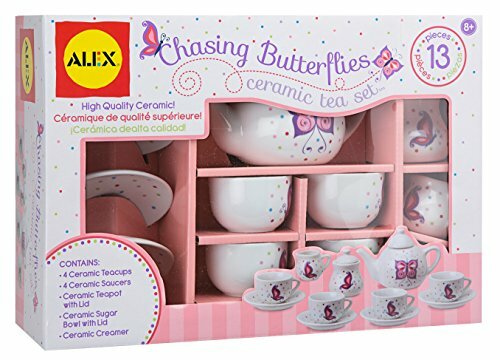 This Chasing Butterflies Ceramic Tea Set by ALEX Toys comes with a total of 13 pieces. This includes saucers, teacups, a sugar bowl, pretend creamer, and a teapot. So, you can be sure that your child is provided with plenty of pieces to play for hours. We liked how this set is best when played with other people. Kids have a blast hosting tea parties with their friends and family. This makes it effective at improving their social skills. Furthermore, they love coming up with pretend play scenarios for their tea parties. Therefore, their ability to think more creatively is improved as well. The pieces available have a fun realistic design which makes it easier for kids to use them in imaginative scenarios. Children love using this set to host their own tea parties and play with a lot of creativity. This is also effective at improving their social skills. The American Girl Ultimate Crafting Kit comes with an impressive total of more than 1,000 pieces. This is plenty to keep your child entertained for hours of play. 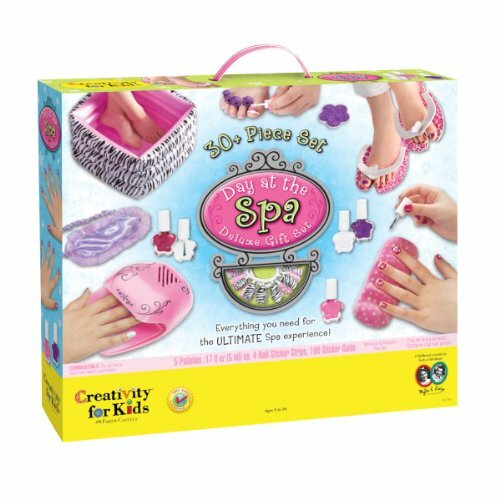 Kids love using this set to create jewelry items for the dolls. This is an awesome way to encourage your child to be more imaginative and use their creative thinking skills. We liked how the set includes a booklet of ideas as well. This is an excellent way to encourage your child to come up with more creative designs for their dolls. Children also have a blast using this set while playing with their friends. So, it can be an effective set at improving your child’s social skills as well. Kids love using this set to create jewelry pieces for their dolls. It’s awesome for their creative thinking processes and can improve their social skills if they use it to play with friends. 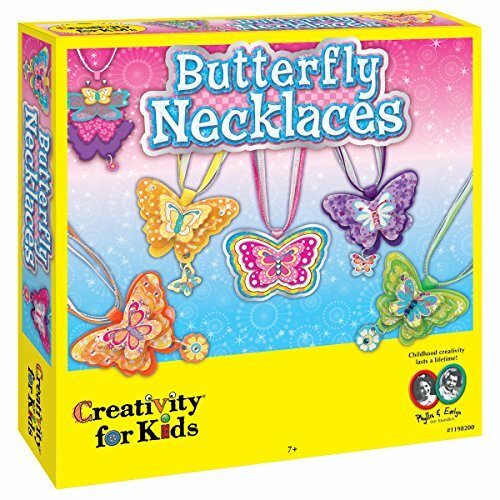 The Creativity for Kids Butterfly Necklaces set features a range of more than 80 pieces. This includes necklaces, glue, rhinestones, and much more. As a result, your child is provided with a lot of pieces that will keep them entertained for hours. As they’re using the various pieces to create their necklaces, kids are able to develop their motor skills and hand-eye coordination. Furthermore, we liked how the set encourages children to use their creative thinking processes as well. It can be an awesome set if you’re throwing a party for your little girl too. This is because kids love getting together in groups and creating necklaces for each other. It’s excellent for improving your child’s social skills. Your child is bound to have fun creating necklaces and thinking creatively while using this set for hours. It also develops their motor skills and coordination, while improving their social skills if they use it with friends. 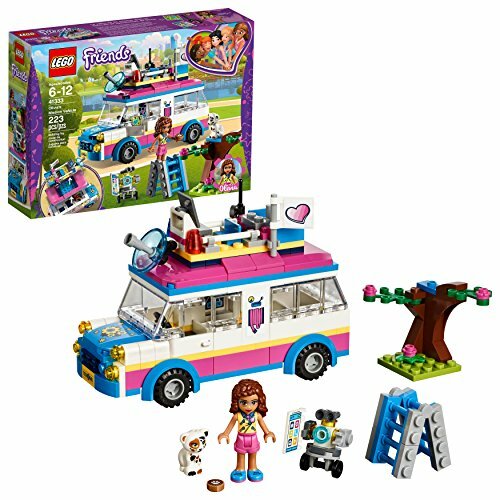 LEGO’s Friends Olivia’s Mission Vehicle Building Set features a total of 223 pieces. This is plenty to keep your child occupied for hours. The building process is fantastic for developing their hand-eye coordination and motor skills. Not to mention, if they get stuck at any point, they’ll also be able to use their problem-solving abilities. When the set is completed, there’s a toy truck, computer, and removable roof feature available. In addition to this, they’ve included some mini-figures as well. This is excellent for providing your child with everything they need to play with the set creatively for hours. It can also be used with other sets made by Lego which is great for your child’s creative building processes. Users have been loving this set! This is a super fun set that kids have fun with building and playing with afterward. It develops their motor skills and coordination while also encouraging creative thinking. 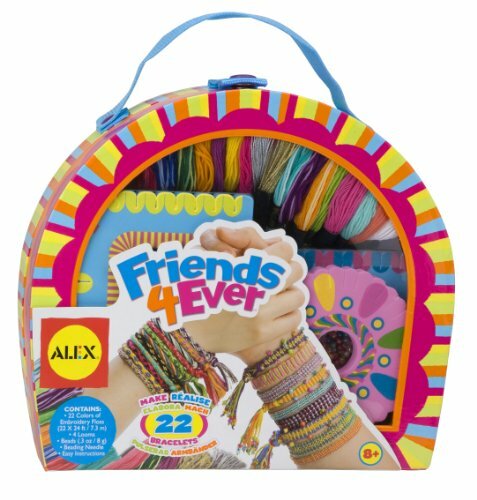 The ALEX DIY Friends Forever set comes with a range of 22 friendship bracelets for kids to design. It also features a range of accessories for kids to use while making the necklaces. These include a beading needle, embroidery floss, and looms. As a result, kids are provided with all the pieces they need to start making their bracelets right away. It’s an incredibly effective set an improving your child’s ability to think more creatively. While making the bracelets, their coordination and motor skills are improved too. We also liked how kids are encouraged to use the set in groups with their friends. This is awesome for improving their social skills. Not to mention, the looms are available in different colors, which strengthens your child’s color recognition skills. This DIY bracelet-making set is excellent at improving your child’s ability to think more creatively. It also encourages them to play with friends and develop their social skills. 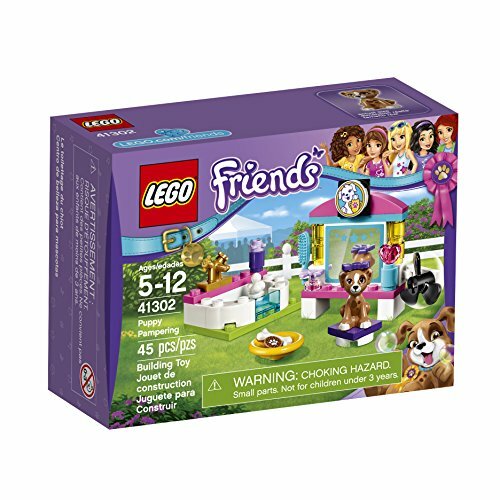 LEGO’s Friends Puppy Pampering Building Kit comes with a doggy stool mirror, fan, bubble bath, dog bowl and bone, a brush, shampoo bottles, and a Lara the dog figure. Therefore, your child is provided with plenty of parts to play with an be entertained for hours. We liked how this set includes a range of accessory items as it improves your child’s ability to think more creatively. Moreover, constructing the set is a process that requires kids to use their motor skills and hand-eye coordination. They may also put their problem-solving skills to good use if they get stuck at any stage of the building process. Kids have a blast building and playing with the set for hours on end afterward. It develops their motor skills and coordination, as well as their ability to think more creatively. 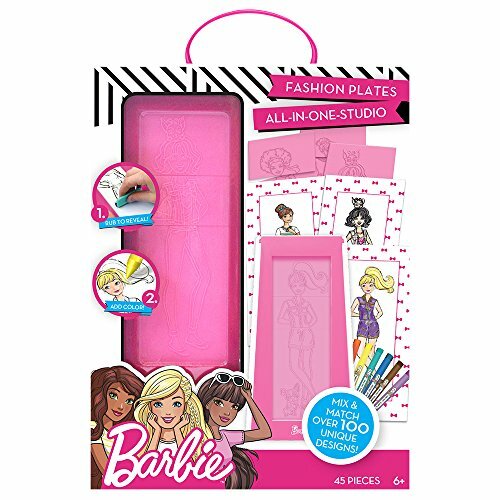 This Barbie by Horizon Group USA Fashion Plate Kit comes with a total of 15 double-sided fashion plates, 20 sheets of paper, a drawing tablet, colored crayons, and instructions that are easy to follow. This provides children with everything they need to start creating new looks for their Barbie dolls. There are more than 100 designs available for kids to create. Therefore, you can be sure that they’ll be busy using this set for hours. It improves their ability to be imaginative and think more creatively. Furthermore, making the various designs for their Barbie dolls develops their motor skills and hand-eye coordination as well. The different fabrics and colors available are awesome at inspiring your child to be more creative. Kids also love using this set to create items for their Barbie’s in groups of friends. This can be great for improving their social skills. Kids have a blast using this set to come up with new items for their Barbie dolls. It improves their ability to think creatively and develop their motor skills and coordination. 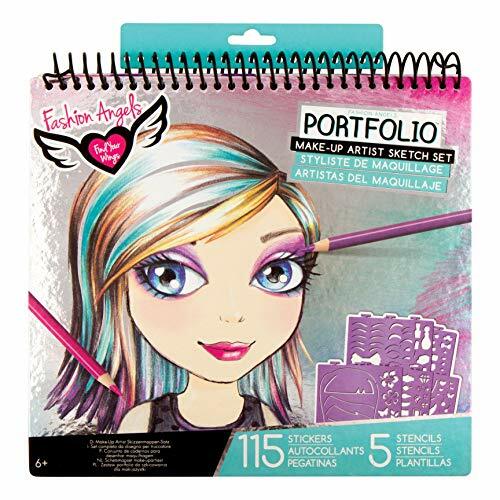 The Fashion Angels Make-up & Hair Design Sketch Portfolio set comes with a wide range of accessories. They include 40 pages for drawing, 4 stencils, and over 100 stickers and shapes. This ensures that your child has everything they need to start getting creative right away. It’s an awesome set for improving your child’s creative thinking skills. Parents have been liking how this set is easy to take with them while traveling. This is a result of the storage pouch that’s available. So, you can keep your child entertained easily while you’re on the go. There are lots of pages and accessories available to ensure that kids can get super imaginative. It’s also an awesome set that you can take with you while traveling. 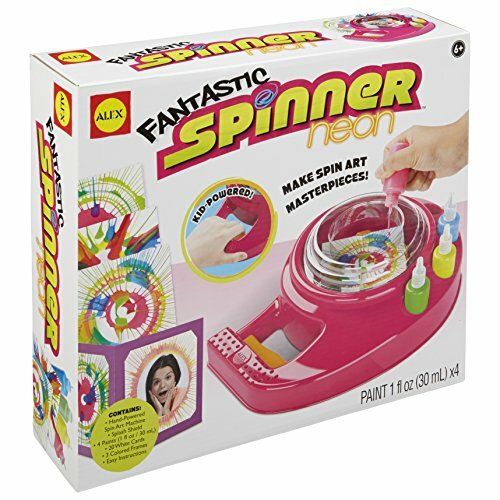 The ALEX Toys Artist Studio Fantastic Spinner Neon set comes with a total of 20 spin paper cards, colored cards, pain bottles, a spinner, and instructions. We were impressed with how this set enables kids to create completely unique pieces of art in a very fun way. They can follow the instructions to learn how to set up the bottles of paint with the spinner and pieces of card. It’s a fantastic set that encourages children to think more creatively. It can also be an excellent set for kids to use while playing in groups with their friends. They can create pieces of art for each other, which can be effective at developing their social skills. We liked how this set provides kids with the chance to create completely unique pieces of art in a very fun way. If they use it with their friends, it can also develop their social skills. 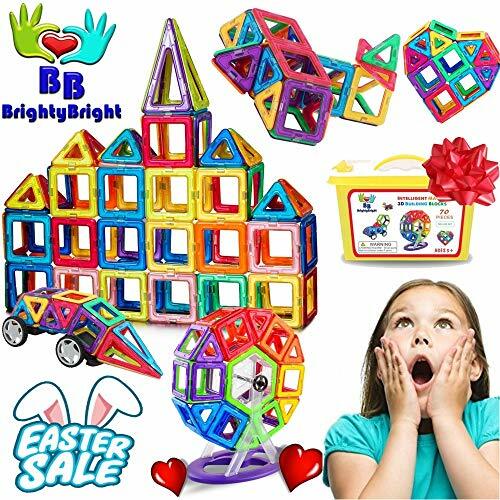 This Magnetic Blocks Building Set comes with a wide range of 64 pieces. We liked how these are available in a range of different shapes and colors. This is because it helps children to improve their shape and color recognition abilities. Children have a lot of fun using these pieces to create tons of different structures that automatically stick together. This is an excellent way to develop their ability to think more creatively. Furthermore, it develops their hand-eye coordination and motor skills. We also liked how children are encouraged to use this set and build structures with friends and family. It can improve their ability to work in teams, while also developing their social skills. People have been loving this set! Kids have a blast using this and getting super creative. Their motor skills and coordination are improved, as well as their ability to recognize different colors and shapes. 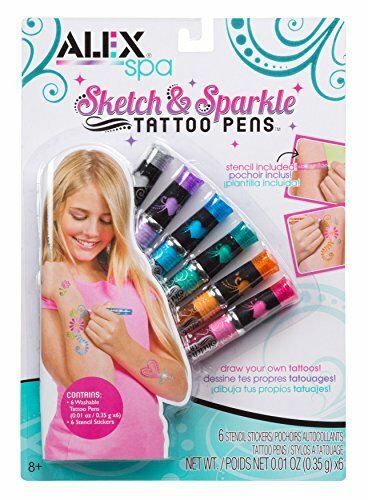 The Spa Sketch and Sparkle Tattoos Pens set by ALEX comes with a total of 6 tattoo pens and 6 stencil stickers. We liked how they provide kids with a range of different tattoo stencils as it enables them to get imaginative and use their creative thinking skills. Furthermore, kids have the most fun when they’re using this set with their friends and drawing the fake tattoos on each other. As a result, it’s an awesome way for them to improve their social skills. Parents have been liking how the tattoos wash off easily as well. All you need is some soap and water! Kids have been having a lot of fun drawing fake tattoos on each other using this set. It’s awesome for their creative side and can improve their social skills. 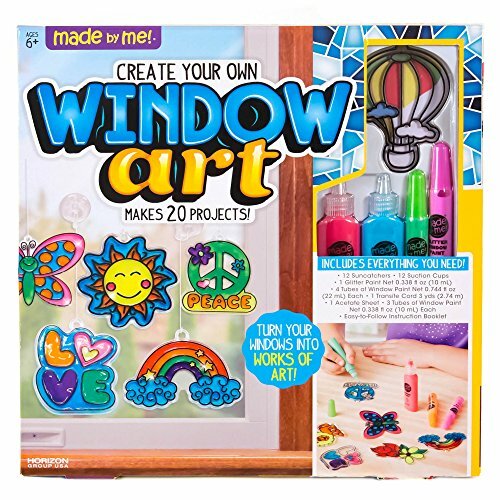 The Made By Me Create Your Own Window Art set comes with a range of 12 suncatcher shapes as well as 20 window art illustrations and colors. This provides kids with the creative freedom to make unique pieces of art and have fun doing so for hours on end. With such a wide range of colors available, kids are able to improve their color recognition skills. They are also encouraged to be super creative. We liked how the set teaches kids how to mix different color to create new ones. It’s a learning process that’s also a lot of fun. If your child is struggling to come up with designs on their own, they can use the design booklet for some inspiration. It’s a great gift idea that kids can use to proudly display their art with by using the suction cups provided. The suction cups available enable you to display the art on larger windows. Overall, it’s a unique set that improves your child’s creative thinking skills. LEGO’s Powerpuff Girls Mojo Jojo Strike Building Kit comes with a total of 228 pieces. This is plenty to keep your children focused for hours of building and play. While kids are building this set, they’re able to develop their hand-eye coordination and motor skills. 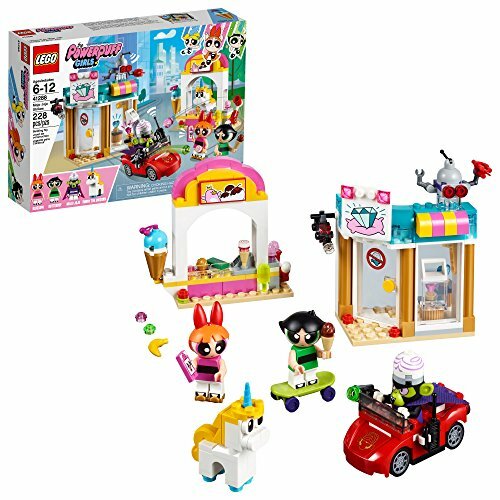 When the set is completed, there’s a getaway car toy, ice cream stand, jewelry store, and Powerpuff toy figures available. Therefore, kids are provided with a lot of pieces to play with a ton of imagination. As a result, this set is awesome at improving your child’s ability to think more creatively. It can also be used with other LEGO sets as well. This gives kids the chance to combine their sets to build and play with even more creativity. This is a fun LEGO set that kids love building and playing with for hours. It develops their motor skills and coordination, as well as their ability to think more creatively. The iPlay, iLearn Cutting & Cooking Toy set is a fantastic gift idea that encourages children to play with a ton of imagination. Kids love using this set to come up with pretend play scenarios, especially when playing with their friends. This is a great opportunity for your child to improve their social skills and ability to work in groups. The pretend food pieces included have an awesome magnetic design. 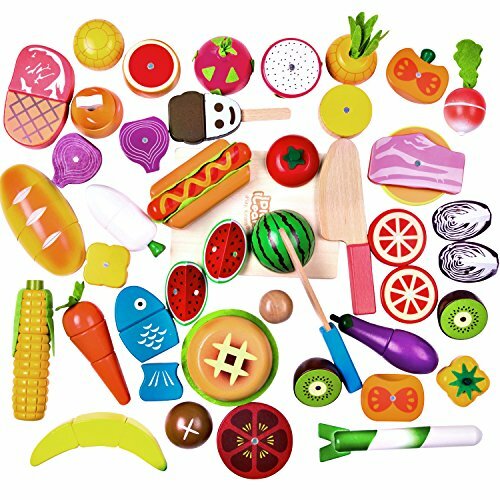 This is a lot of fun for kids as they can use the pretend knife to separate the magnetic food pieces and feel like they’re cutting real food. It’s an excellent way for them to recreate what they’ve seen others do while cooking. Furthermore, all of the parts are available in a range of different bright colors. This makes it more exciting and improves your child’s color recognition skills. The magnetic feature makes kids feel like they’re cutting up real food, which encourages them to play with more imagination. It’s also a lot of fun to use the set while playing with friends. which can make it great for your child’s social skills. 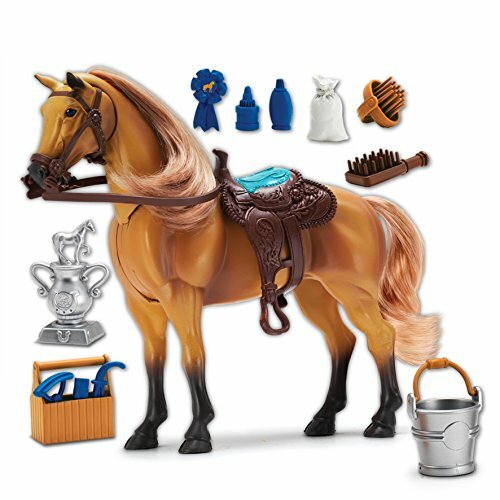 This Breyer Ella Horse Color Change Surprise Bath Toy comes with some fantastic realistic features. These include a tail and mane which can be easily brushed. However, the standout feature with this toy is how it magically changed color when it becomes wet. This is what makes it such an exciting bath toy. Kids love playing with this toy in the bath and watching how it changes color. It’s excellent for their color differentiation skills. They have also included a brush and spray bottle accessories for kids as well. This enables kids to spray the toy horse and watch how parts of it change color when they’re not in the bath. So, kids can use the toy outside of the bath as well to play with creativity. The unique color-changing feature that’s available with this toy makes it a lot of fun to use in the bath. Kids can also use it outside of the bath to play with a lot of imagination. The Manhattan Toy Groovy Girls Meghan Fashion Doll comes with some awesome embroidery features on the hands and face. These are pretty unique and can improve your child’s tactile abilities. We also liked how they’ve designed the doll to be wearing stylish clothes. This makes it more fun for girls to play with. Not to mention, these clothes can be easily removed for kids to mix and match different outfits. Therefore, this doll is awesome for improving your child’s ability to think creatively. They also have a blast using the set while playing with their friends and their dolls. As a result, it can be great at developing their social skills. Kids have been having a blast with this doll! 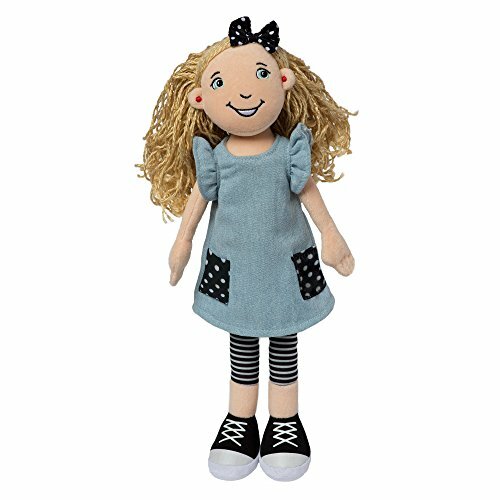 Kids love using this doll to play with their friends and their other dolls with a lot of creativity. This can also be effective at improving your child’s social skills. Now that you have a better idea of the top toys for 11 year old girls that are available, you may be interested to learn more about how to approach picking out the best ones. If you’re feeling a little unsure as to which ones would be best for your little girl, you’ll want to take a look at this buyers guide section. While girls are playing with toys, there are a lot of developmental benefits that they’re able to experience. On the surface, these may not seem like they would be very effective, however, you may be surprised to discover how much your child can benefit from playing with the gifts mentioned above. Some of the main cognitive improvements that your child will undergo while playing with most of the toys discussed in this review include their motor skills, hand-eye coordination, and problem-solving abilities. If you have been struggling on ways to spend some more quality time with your child, some of the gifts that we’ve reviewed could be perfect. The ones that can involve other people to get involved are awesome for bonding more with your child over something that they enjoy doing. This could be anything from a building kit to an art set. Finding the best Christmas gifts for your little girl doesn’t have to be complicated. We recommend that you find gifts that they can play in groups with others. This is because Christmas is a time where kids enjoy spending time with their family. If you’re throwing a birthday party for your child on her special day, it would be a great idea to get her gifts that she can use with her friends. This may include something like a bracelet making set or a game that they can all play together. When it comes to buying gifts for an 11 year old girl who seemingly has everything, it can be even more difficult. However, you’ll be glad to hear that there are many gifts included in this review that would be awesome in this situation. We advise that you stick with the arts and crafts sets. This is because they encourage children to make pieces of art that are completely unique and carry more meaning to them. As you have seen for yourself, there are a number of different types of gifts for 11 year old girls available. While we have narrowed down the options, you may still be feeling overwhelmed. If so, we’re about to take a look at the different types of presents available to make it easier for you to distinguish between them all. Building sets are popular toys among girls because of how much fun they are to build and play with afterward. They develop your child’s motor skills and coordination and encourage them to use their creative thinking skills. Dolls are a classic toy among girls. Kids love to use them and come up with their own pretend play scenarios. They’re also awesome for adding to a collection of toys for your child to continue adding towards over the years. Roleplay toys, such as cooking sets, are incredibly effective at encouraging your child to play with more imagination. Furthermore, they are super fun to play with when with other people. Therefore, kids have a blast getting their friends together and creating fun games. 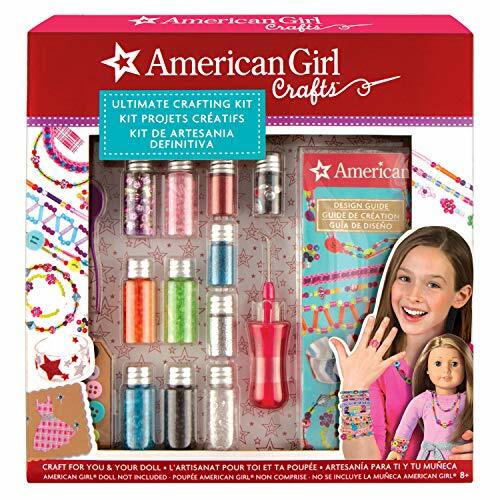 Art and craft sets are pretty reliable gift ideas for 11 year old girls who love to draw and be artistic. They provide them with everything they need to let their creative side flourish and come up with unique designs. While many of the toys mentioned in this review are educational in some type of way, there are some that are more heavily focused on it than others. The Soap Science Kit, for example, is a set that teaches kids about chemistry. The sewing kits that are another example that is fantastic for teaching kids a new skill of sewing. Group games, such as the Sleepover Game or any jewelry making set are excellent if you’re having your child’s friends over. It enables them to all get together and have a lot of fun while creating and playing games. So, those were some of the best toys for an 11 year old girl that is available, right now. You can use this review to help narrow down your search to make finding that perfect gift for your little girl a lot easier. Be sure to consider all of the main features, pros, cons, and what makes each toy stand out. The buyers guide section is available for any additional information that you may need.